“The public are rightly incensed at the injustices we see across the financial system but our economy must have responsible, innovative and enterprising financial services. It is essential that commercial freedom is maintained while creating a system in which remuneration is a just reward for success, not the unjust product of unrealised profits and bailouts. “My Bill would make directors of financial institutions personally liable for losses. It would ensure that losses came first out of institutions’ bonus pools then directors’ personal bonds before hitting equity. Directors would also be exposed to unlimited personal liability long before any suggestion of taxpayer bailout. “With key decision makers’ own wealth at risk, they would take responsible decisions instead of expecting rewards for failure. “The fundamental problem with our banking system today is the egregious social contract by which the gains from risk taking are privatised but the losses socialised and dumped on the taxpayer. This Bill would put a stop to this abuse by creating the strongest possible personal incentives for board members to ensure that their banks are managed responsibly. 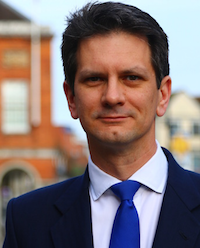 Steve Baker MP was elected to Parliament in 2010, less than three years after joining the Conservative Party. 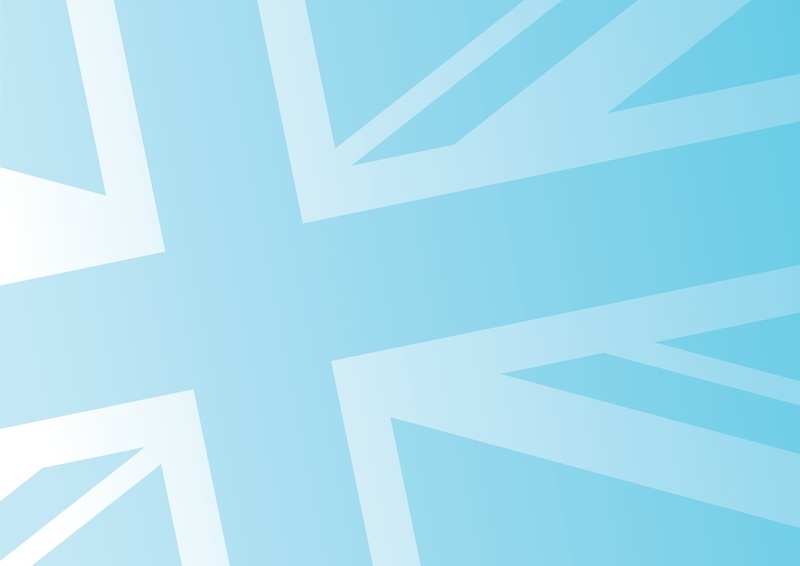 After his Royal Air Force service, his software consultancy roles took him to banks and their regulators in the UK and abroad. He is Chairman of the All-Party Parliamentary Group on Economics, Money and Banking and a Director of The Cobden Centre, an educational charity for social progress through honest money, free trade and peace: www.cobdencentre.org. The idea that directors should have unlimited personal liability for bank losses is an old and historically tested one. For example, the two greatest bankers of the nineteenth century, Nathan Mayer Rothschild (1777-1836) and John Pierpont Morgan (1837-1913), both operated highly successfully under unlimited liability. Unlimited liability meant that they could lose all their personal wealth: this made them conservative in their risk-taking and reassured counterparties who appreciated what they stood to lose if a deal went wrong. It also gave them a strong personal incentive in the long-term survival of their banks and made for a banking system that was much safer and more stable than the contemporary banking system. These measures were brought forward with the advice of Kevin Dowd and Gordon Kerr of Cobden Partners. Dowd is co-author of Alchemists of Loss: How Modern Finance and Government Intervention Crashed the Financial System and formerly professor of financial risk management at Nottingham University Business School, and Kerr is the author of The Law of Opposites, recently published by the Adam Smith Institute. Board members of financial institutions would be strictly liable for any losses reported by their institutions: they would also be subject to unlimited personal liability for any such losses. Board members of financial institutions are to be required to post personal bonds that would be potentially forfeit in the event that their banks report losses. The value of the bonds posted for each person concerned would be the higher of £2m adjusted for future RPI or 50% of the person’s net wealth, whichever is higher. Taken together, these measures create the strongest possible personal incentive for board members to ensure that their banks are managed responsibly. This is the key requirement to resolving the crisis: with key decision-makers’ own wealth most at risk, they would ensure that excessive risk-taking would soon disappear. The payments of any bonuses that are awarded in any given year would be deferred for a period of 5 years. This bonus pool would be invested on beneficiaries’ behalf in an escrow account. Where the bonus took the form of stocks, these would typically accumulate dividend payments over time. Where they include stock options, such options would be exercised on maturity if they expired in-the-money and so then convert to underlying stock positions, and if they expired out-of-the-money they would become worthless. Where the bonus took the form of cash, these cash amounts would be invested in an independent money market mutual fund with a horizon period equal to the period when the original 5-year deferment lapsed and payments could then be made to beneficiaries. Should a financial institution report losses over any period, these losses would be made good in the first instance by drawing from the bonus pool. Should a bank report losses that exceed the value of the bonus pool, then the whole of the bonus pool would be forfeit to the institution to make good the losses. Any difference remaining – the difference between the reported loss and the value of the bonus pool – would then be made good by drawing from the board members’ personal bonds. Should their bonds prove insufficient to meet the whole of the remaining loss, then all their bonds would liquidated to offset that loss, and any subsequently remaining losses would be passed to shareholders. In the event that board members’ personal bonds were forfeit to the bank, board members would be required to replenish their personal bonds within some specified short period. Failure to meet this obligation would trigger personal bankruptcy. Additional measures would cover the definition of core capital, accounting standards, the definition of bank insolvency, a new fast-track receivership regime for banks, the end of state support and return of financial institutions to normal operations, authorisation to operate and provisions for criminal investigations and criminal liability. For the purposes of this Bill, a financial institution is taken to be any company regulated under the Financial Services and Markets Act 2000. I will be following developments closely, good luck! Dear Mr Baker, Your party colleagues will oppose it bitterly. I wish you luck, but I doubt you will ever get any to agree to unlimited liability for directors, it would hit too many of your colleagues’ future career plans. Well, it was introduced without opposition. The system does mean this will go no further, but I am grateful for the feedback. This is excellent – many thanks for your work in the public interest. The country cries out for the application of this simple rule. Fix this and you heal the country. And yes, I’ve had a few glasses tonight but I believe it to be true. I sincerely believe that you and Mr Carswell have identified the heart of the beast and I pray for your success. And I’ll always be a bit of a lefty but this issue transcends all that. We need sound money, we can spend it in the pub or spend it on our childrens education. Sound money won’t cure foolishness. But without it we can’t even begin to build a better world. Well done – will you get past the second hearing? Can you explain why the BOE continues to allow the private banks to create money without charge or control over the amount they create? For instance why the BoE eases ‘money’ into the banking system at 0.5% only for the banks to leverage the same by the fractional reserve system to buy government bonds and charge 3-4% interest? Thanks John. We are too close to the end of the session to get a second reading but the idea is on the record and the Financial Secretary to the Treasury was in the Chamber when I made the speech. All this will continue to provoke debate. In relation to money creation, you may know that I co-founded http://www.cobdencentre.org and I speak at Positive Money conferences on this subject. The short answer is that academics are divided over whether private banks should be able to extend credit in excess of real savings (money set aside for a period) and they are divided on philosophical, legal and utilitarian grounds. What is certain is that the credit creation process is incompatible with a number of other features of the banking system, such as limited liability, fiat money, deposit insurance and central banking. Excellent: Thank you for your efforts, notice how, as Europe/USA heads for the abyss, your parliamentary colleagues head for the exit. Disgraceful!. Recommend read. Can you tell us how much government debt you as a member of Parliament are going to cover? Does that include the debts that you’ve hidden off the books as well as borrowing? After all shouldn’t you use the same accounting methods as any company when it comes to the accuracy and truthfulness of accounts? Or more bluntly, are you going expose your wealth to paying off the state Ponzi? If you took the time to look at my record, you’d see I have spoken and written about the unsustainability of government debt frequently. I’m not reworking the arguments here. With this suggestion, you appear to be suggesting a smaller salary with bigger bonuses for MPs not based on the overall performance of the country but relative to their own individual success in risk-taking, with the Prime Minister’s bonus set at a level that must be agreed by the electorate. I can easily see how that might work, but it effectively already hits the PM in this way. I think you would probably find that the electorate already struggles to make their vote personal for MPs because they too readily see Dave (the one who likes the bankers, not the one pretending to be a banker) as the face of the entire government. For anything to change, I believe we need only to increase transparency in government beyond “the big two” or Blair & Brown, or Brown & Darling, or Dave & George, or even further, and hold our own MP accountable to their constituents. For as long as the whip system exists, MPs will be afraid to vote as they wish, and will instead vote as they are told. Are you retrying to get this bill through parliament? I was not successful in the ballot for private members bills and it does not enjoy Government support.